When Kurt Kueffner of Aveda and American Crew fame teamed up with David Raccuglia (founder of American Crew), I knew it was going to be great. Together, they've joined forces to create the MENSDEPT. line of grooming products and the results were fantastic. The MENSDEPT. line is focused exclusively for men and, at the moment, it's a very concise line consisting of one shampoo, one conditioner, and six styling products -- enough to cover virtually any men's hairstyle without offering too many choices. One complaint I have about some of the men's lines is that they very bloated and offer way too many choices. Are you listening, American Crew and Redken for Men? I think the best approach is to keep it simple -- as guys, we don't need that many options. MENSDEPT. keeps it simple and easy to understand and I hope they keep it that way. Now, let's get into the products. 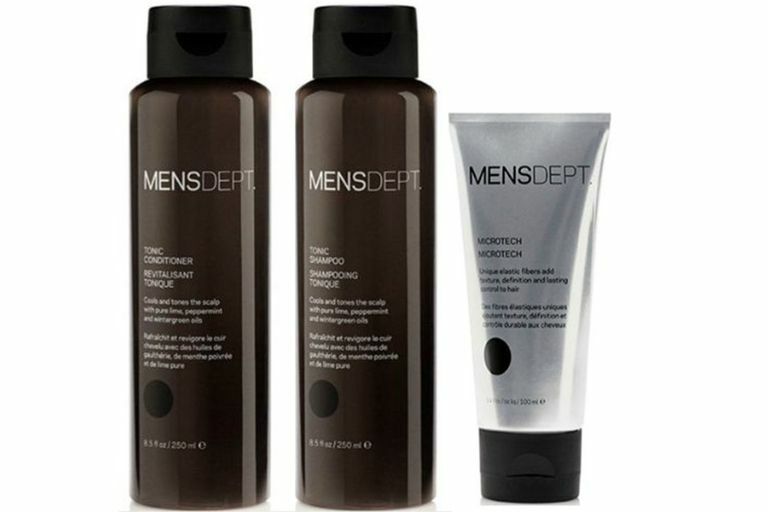 I've had the chance to review each product in the line and I am very impressed with the results (so impressed, in fact, that I've added MENSDEPT. to our backbar in both of my men's barber salons). In the current line MENSDEPT. offers one shampoo and conditioner that should effectively cover most men. MENSDEPT. TONIC SHAMPOO is an effective daily shampoo ideally suited for short hair (although it is fine for all hair lengths). Combined with proper shampoo technique, you'll get solid results from this one. In my tests, it did a great job of leaving the hair and scalp very clean. The product contains lime, peppermint and wintergreen oils and has a nice minty kick (just be careful not to get the product in your eyes as it can burn a bit). The fragrance is neutral and fairly pleasant (although it reminded me of dishwashing liquid just a bit). The shampoo is suitable for all hair types and has made my list of favorite shampoos for men. MENSDEPT. TONIC CONDITIONER also contains lime, peppermint and wintergreen oils and left my hair feeling very healthy with a nice shine. The fragrance and minty kick are similar to the shampoo and the product is suitable for all hair types. Currently, MENSDEPT. offers six styling products that offer a little something for every guy's style. MENSDEPT. GROOMING CREAM I is a texturing cream that is geared towards fine hair and does a great job of providing control and separation without adding shine -- it's similar to the effect you get when you haven't washed your hair in a day. As someone with fine hair, I'm quickly discovering that this is becoming my "go to" product each morning. I apply a small amount of product in my hair when it is just slightly damp and style as usual. I've found Grooming Cream I to be a solid performer that doesn't weigh the hair down, which is important for those of us with fine hair. MENSDEPT. GROOMING CREAM II, like GROOMING CREAM I adds separation, control, and texture but is formulated for thicker hair types. The effect is similar to GROOMING CREAM I in that it provides that "next day" matte texture to the hair. I especially like this product in longer styles to give a bit of separation and control -- good stuff for creating "rock star" styles. MENSDEPT. FIRM HOLD GEL is, well, gel. Can I really say much more about gel? It dries hard and shiny if you leave it on. You can also use the product for blow-drying the hair to give volume and control. Unlike some cheap supermarket brands, MENSDEPT. Firm Hold Gel will not flake. So, if you're a gel guy, this stuff is worth the investment. MENSDEPT. MICROTECH is where to line starts go get a bit more interesting. The product is a unique cream that's kinda sticky with elastic "fibers" which add nice texture and control. MICROTECH has a natural finish and, depending on the amount you use can vary from medium to firm hold. 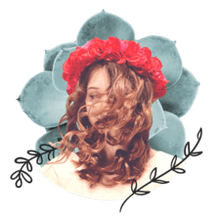 I've found this product is great for adding texture in my clients' shorter, textured styles and it also gives me some nice volume and definition for my clients with medium length hair. MENSDEPT. GROOMING CLAY offers a strong hold and a matte finish and is great for adding texture and fullness, especially in thicker hair. Used in hair that is very dry, the product's hold becomes stronger and will allow you to create even more aggressive texture. I would avoid this in fine hair, but if you're after maximum hold an lots of texture and support, this is a great option. MENSDEPT. FORMING PASTE is another of my favorite products in the line. The product offers medium hold and a more natural shine and remains pliable all day. Like the GROOMING CLAY, the hold is stronger when applied to dry hair. In larger amounts FORMING PASTE can give you very high shine and lots of control. I also like to use the product very sparingly as a tool to give a little natural shine and smoothness to clients who need a little boost in shine, but don't want to look like they're wearing product in their hair. I can highly recommend the MENSDEPT. line. All of the products live up to the high expectations I had for them. They're effective and there is enough variety in the line to achieve any style without becoming confusing. The products are "blandly handsome" in their packaging (not likely something the woman in your life is going to try to snag for herself), the fragrances are all neutral and light, and the price point is in line with some of the other affordable salon brands (about $9 for the shampoo and conditioner and $14 for the styling products). The only drawback, currently, is that it's a new line and you may be challenged finding it (look for it in finer barbershops and men's salons), but I suspect that will soon change. It's definitely worth looking around for. Add MENSDEPT. to Woody's Grooming and Mitch by Paul Mitchell as one of my favorite men's lines. I should also like to add that, if you are a barber or stylist, MENSDEPT. offers some incredibly good resources such as a barbering DVD (and accompanying book), tons of point of sale materials, and a marketing guide -- all of which are excellent resources and very well done.